Windows Vista Ultimate is the ultimate edition of Windows Vista that has all the features and functionality of Vista operating system. 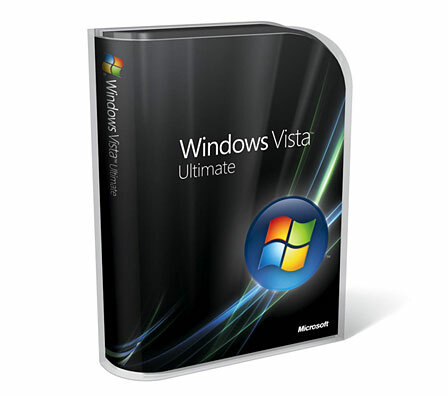 Vista Ultimate also comes with extra freebies called Ultimate Extras which include highly sought after applications such as Windows DreamScene that provides additional enticing reason to purchase the most expensive version of Windows operating system. If your system comes with lower version of Vista, you can always upgrade to Ultimate version with Windows Anytime Upgrade. And, if you buy Vista Ultimate, you can purchase additional Home Premium licenses at discounted price. Microsoft even prepares special portal for the ultimate Windows. bit-tech (dead link) concludes with overall rating of 9 over 10 that “without considering the gaming advantages of Vista, it’s clear to us that the new MS OS is worth the asking price – providing you can pick up an OEM copy. Full-version Vista is best saved for a) those who don’t mind forking out over hundreds while only getting Home Premium and b) those who buy with new systems. Whether you choose 64-bit or 32-bit Vista will ultimately come down to how far ahead you want to push. Yes, 64-bit is more secure and is a ‘cleaner’ operating system, with less backwards compatibility and more headroom for the future – especially if you’re using more modern hardware. However, 32-bit is the smoother upgrade for most people, and is probably the one we would recommend to almost everyone. When DirectX 10 games start arriving, the avid PC gamer isn’t going to have a choice about upgrading. But, until then, get a disc and start the installation – you’ll never go back to bland old XP again. CNet reviews Windows Vista Ultimate and concludes with very good ratings of 7.8 out of 10 that Windows Vista Ultimate does improve some features within Windows XP, has fewer system crashes than Windows XP and Windows Vista offers better built-in support options. However, as in all editions of Vista, Windows Vista Ultimate does not put Search on the desktop, is optimized only for the Microsoft Windows ecosystem, and there’s simply too much and not all of it is implemented properly. Beside, no new software yet written exclusively for Windows Vista and there are too many editions of Windows Vista. Overall, Windows Vista is essentially warmed-over Windows XP. If you’re currently happy with Windows XP SP2, we see no compelling reason to upgrade. On the other hand, if you need a new computer right now, Windows Vista is stable enough for everyday use.